Imagine having TRUE Knockout Power with EVERY Weapon in your body. Now YOU CAN with these Power Black Secrets. When you talk Self Defense or Combat Sports or Traditional Martial Arts, there is ONE ingredient that we can all agree on. That being, that every strike, every lock, every takedown, in fact everything we do, should be as powerful, impactive, dynamic and destructive as possible. It should be OUR choice as to how hard we go. We should KNOW that a full on 100% power strike is probably going to do too much damage. We should KNOW that a full on 100% Body Slam is going to break the opponents back. We should KNOW what we are capable of doing and be 100% confident in that, WITHOUT mis-leading ourselves. We then KNOW that when it comes to a real fight, a real situation that we are MORE THAN capable of delivering a fight ending blow or technique. We should KNOW that we can do this without having to go at 100% all the time. Too easy to gas out when it goes wrong, especially in a sports fight! And this, my friend, is what the 6 DVD Set Power Black will give you. The knowledge to have that ability. The wisdom of when to use it, still rests with you! Let me take a step back now and explain HOW and WHY this DVD Set was developed. For many years I had been teaching all over the World, to Police, Military and of course Martial Artists and Self Defense enthusiasts. 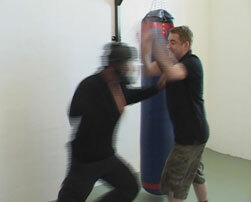 Usually people wanted to learn some Pressure Points and how to apply them in Combat. Of course, that was no problem. However, an interesting process began to emerge…. attendees ALSO wanted to know how I was able to generate massive power from such short ranges or odd angle or even what seemed bad positions. I ADDED this information into my teachings of Pressure Point applications and WHAM – Everyone was even more hooked. I was able to DOUBLE or EVEN TREBLE everyones Striking Power in under one hour at my seminars. This then became a matter of course, a ”side benefit” of learning with me – previously I just assumed everyone knew how to do this…. BUT they did not. Anyway… fast forward about 11 years and NAP were in discussions with me about producing another DVD Set, following the incredible success of Multiplied Force Fighting System (MFFS). I simply mentioned in passing what I had been doing for years in Seminars, Courses etc ref Power Generation and doubling power in under an hour. NAP looked at me in dis-belief! I could almost hear them thinking BULL$%^. But they knew me, they knew I never lied or embellished any stories or accomplishments. They then asked the now famous question – If NAP ONLY invite people to a Gym, You double their power in under an hour and NAP Film it – Would you agree? Because if you can’t do it… we will have it on film! And so, NAP invited a mixture of people along to a filming session at a Gym in Manchester. We had a group that ranged from COMPLETE BEGINNER right through to 5th Dan 30 year Martial Artists and Professional fighters. NAP asked me if I could increase the power and effectiveness of a diverse group such as this in a short ONE Hour session. 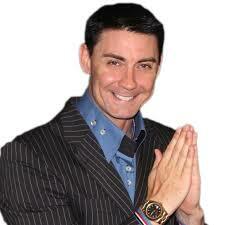 I said YES… Of course I agree, you know I ain’t lying…… and so a few weeks later it was all set up and filming began. You will learn how to generate ENORMOUS impact with each and every strike you make. It does not matter what type of strike it is, with this material, you WILL DOUBLE or EVEN TREBLE your existing impact and yet HALVE the effort required. In this clip you will see how to perform the Waveform Slap, that has been utilised countless times for an INSTANT K.O. I think the title of this DVD explains it all! You will learn how to SHATTER Joints immediately. You will learn how to render your opponent unconscious with ease. In this clip you will see a technique we call the ”Hitch-hiker”. It is a vicious throat rip or strangle. Practice with care. We all know that a slam can be a great fight finisher in it’s own right. Now imagine upping the destructive power of the slam with TRUE devastating waveform power – It’s a scary thought! In this clip you will see Master Andrews teach the Waveform Suplex. Listen to the safety instructions CAREFULLY. Russell Stutely and Master John Andrews take it in turn to show you one devastating technique after another. Each one has been rigorously ”field-tested” so as to speak. In this clip you will see Master Andrews teaching a technique that we have used quite often, it is an elbow cut takeout. Watch live as volunteers for filming, with various levels of experience have their power levels transformed. In this clip you will see me instruct a LONG TIME Karate practitioner on how to increase the power in a roundhouse kick. See a 60-70% Power increase LIVE in less than 4 minutes. Again, watch live as the volunteers are given an “extra” lesson from Russell in how to make PP’s work. 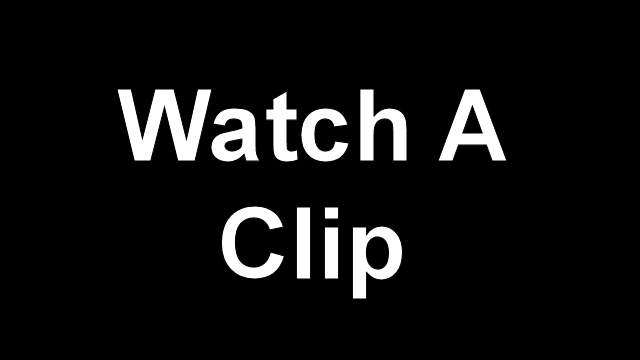 Watch time and time again, as a MASSIVE amount of information is given out. In this clip I teach the Player: Mind, Breath, Body to a couple of Novices. Watch the reaction after just a couple of minutes of teaching. How to adjust to the ‘pitch’ of your opponent’s body to get ‘in tune’ with them – this will totally accelerate your power, yet this technique is basically unknown to martial artists. How getting uncomfortably close to your attacker will immediately accelerate your power. How simple and secret changes in BREATHING can dramatically alter the power you generate. Proper alignments and adjustments to your hips which will pump up the power to extreme levels. How to create so much power that – if you don’t do what I tell you – you can actually end up detaching your own elbow! How just simple shifts in footwork can translate into massive power changes. Knock someone clean off their feet with these simple methods! Why ‘rotation’ in the wrist (common in ‘normal’ martial arts) usually is NOT the way you want to approach punching for incredible power (the metacarpals and other parts are in line. How accelerating the hip along with some other simple changes can almost DOUBLE your power overnight. Why most martial artists are losing power when they punch…without consciously realising it. And how to immediately correct this. 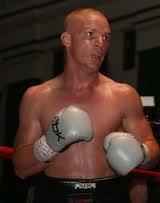 How my methods SHAKE your opponents body to the CORE, almost like sending a lighting bolt through their body. Why DISTANCE is an important component of massive power generation…and what to do about it. The relationship between a nurse and her needle and getting ultimate PRECISION with your power strikes. How to demolish a leg bone with incredibly powerful kicks (in the live practical examples of this, you’ll see the kicking pad flying all over the place from the raw, piston-like power). “As a former Multiple Champion and now a regular training partner with Russell I can speak with a great deal of authority on this subject. If you want to TRULY learn, then Russell is the man to learn from. His in-depth knowledge of incredibly complex aspects are taught in a way that even the newest beginner can understand what he means. Fighters just know what will and will not work - the moment they are shown it. I can tell you now - what Russell teaches - JUST WORKS - IMMEDIATELY! I know you do not want to wait around for this information. So, whilst you are waiting for your Hard Copy DVD's to be delivered, I have created an elite Members Area, where you can download all of these 6 DVDs Digitally for IMMEDIATE viewing on ANY Device. You could be learning this material in just a few minutes from now! 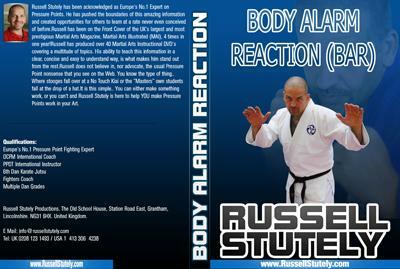 You will also receive a FREE Digital download of Body Alarm Reaction (BAR) that will play on ALL devices. 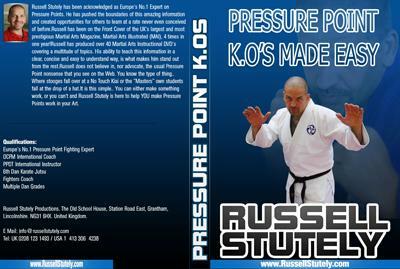 You will also receive a FREE Digital download of Pressure Point Knockouts Made Easy, that will play on ALL devices. The FULL 6 DVD Set has been reduced from $297.00 to ONLY $197.00 Including FREE Worldwide Shipping and Handling. Delivered direct to your door, with FREE International Shipping. PLUS - $609.90 Value of FREE Bonus items. All 6 DVDs for DIGITAL Download only.